My husband and I decided to take a drive to Hacienda Heights last Saturday, which is about 20 miles East of Los Angeles, to visit the Hsi Lai Buddhist Temple for the first time. Let me tell you, I had no idea there was such a gem hidden in the hills of Hacienda Heights. 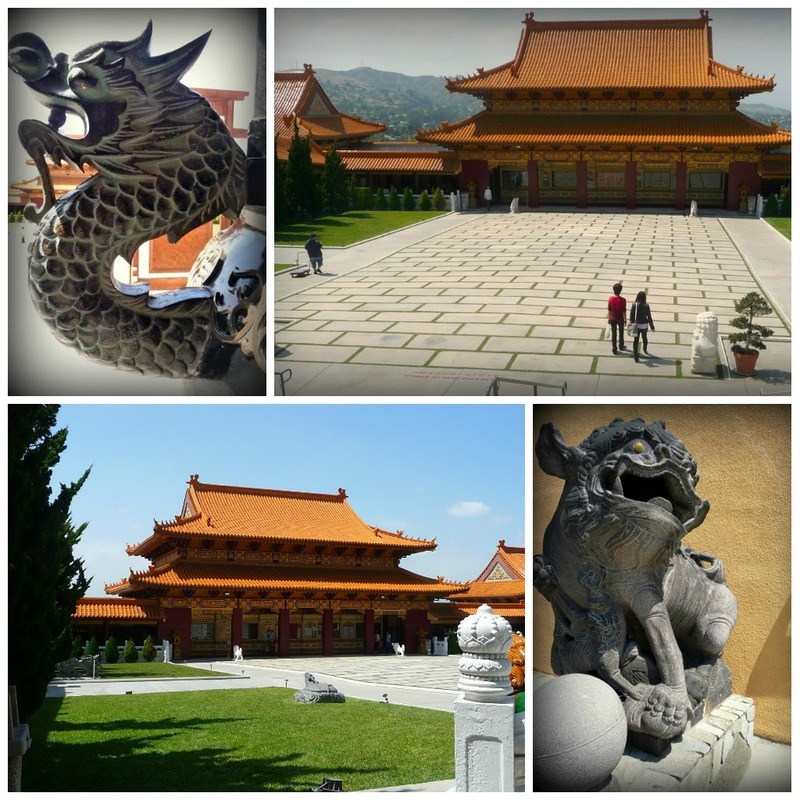 Just some of the amazing architectural features of the Hsi Lai Temple. 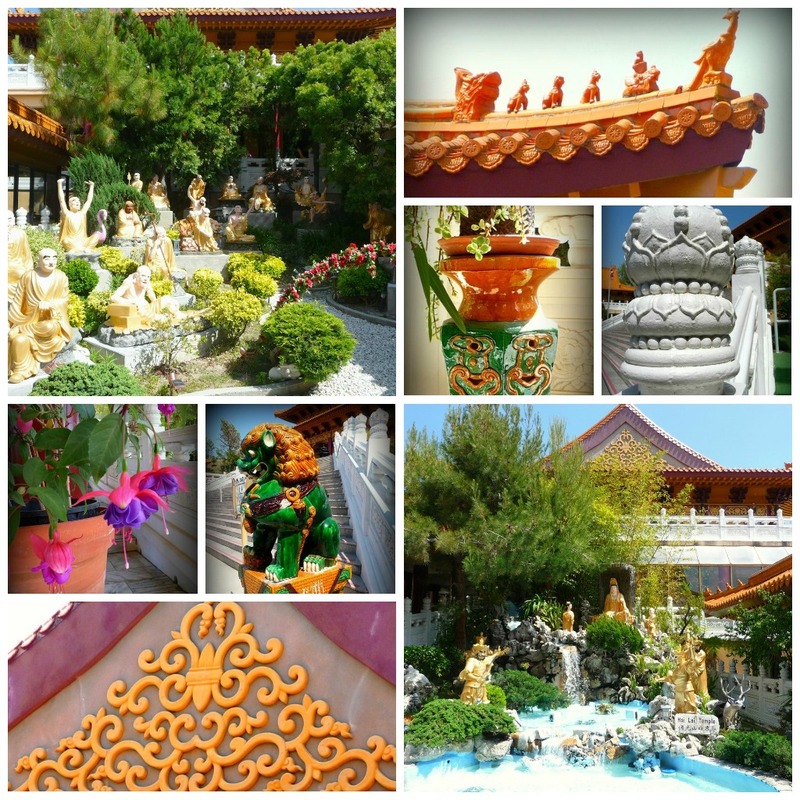 Try to find these baby Buddhas when you visit the site. More of the amazing and colorful features of Hsi Lai Temple. 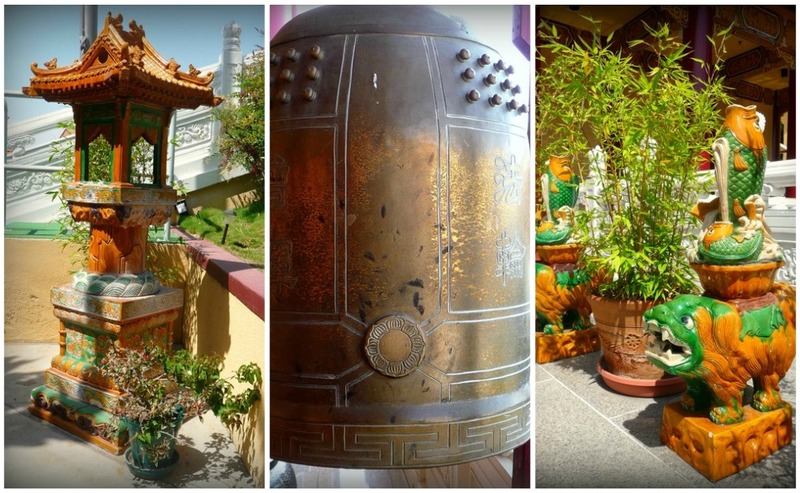 Top: The gateway that welcomes you as you arrive at the temple. The Chinese characters represent "the four universal vows of Buddhists: to save all sentient beings, to eradicate all worries, to study the boundless Dharma, and to attain supreme Buddhahood." Center: A buddha head statue. Bottom: Art work from one of the students. "The earth is linked heart to heart. Everything in the world including religions peacefully co-exists." And I think that sums it all up. 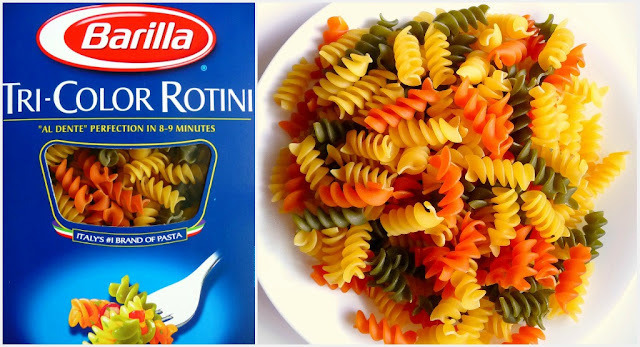 Inspired by the bright colors at the temple, I decided to create a tri-color pasta. For me, the many colors symbolize our differences as a people, but instead of dividing us, I would like to celebrate our differences, by recognizing that it is in diversity where we can achieve higher ground and learn to be united. Hsi Lai means “coming West.” To all who have come to the West, welcome! 2. Wait for the pasta to cool and mix in all the other ingredients according to taste. Serve cold. 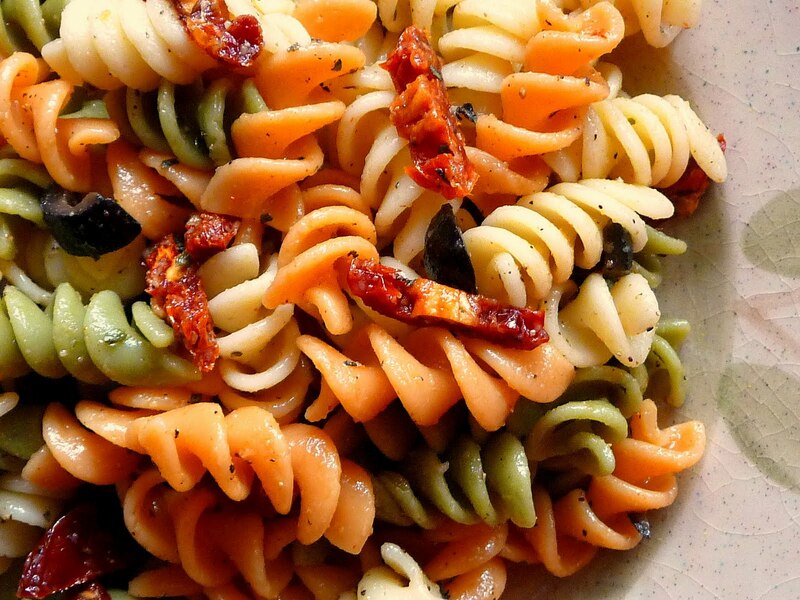 This makes a good side dish. Looks appetizing already even before it's cooked. 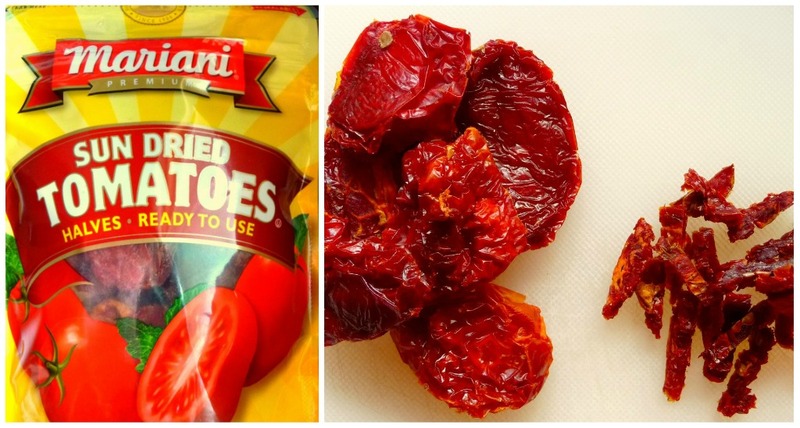 These sundried tomatoes come in a bag.